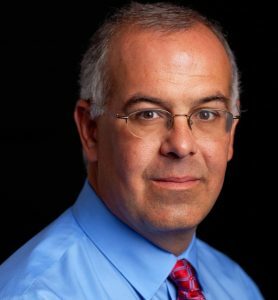 David Brooks is one of America’s most prominent political commentators. He writes a bi-weekly op-ed column for the New York Times and is a regular analyst on PBS NewsHour and National Public Radio’s All Things Considered. David has a gift for bringing audiences face to face with the spirit of our times with humor, insight and quiet passion. David’s most recent book, The Road to Character, explores the road to a deeper inner life and explains why selflessness leads to greater success. His previous books include The Social Animal, On Paradise Drive, and Bobos in Paradise. He worked at The Wall Street Journal for nine years and has written for The New Yorker, Forbes, The Washington Post, and many other periodicals.